Our 5.8 liter 351 Windsor Short Block Engine is on sale. The Ford Motor Company built the first 351W in the mid 1970s and continued to produce this engine all the way through the 90s. Throughout the years we have studied the failure points of this 5.8 motor and have been able to isolate areas that are more prone to breakdown and wear. What we build is much more than a rebuilt 351 Windsor short block, our completely remanufactured blocks I've been built at our state-of-the-art facility utilizing the latest part upgrades and manufacturing techniques. 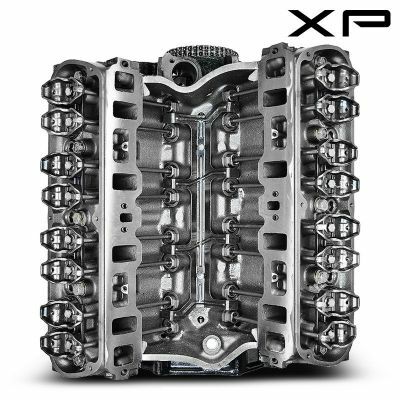 Every 351 short block meets and exceeds the original manufacturers specs. 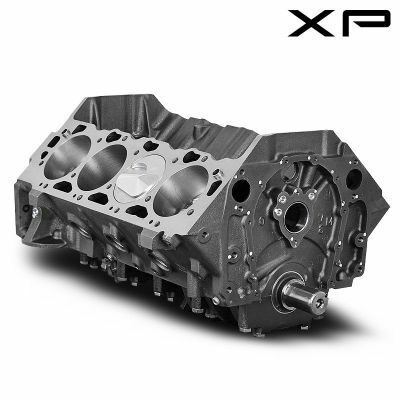 Our 351W short block's have been remanufactured to perfection using our own multifaceted process developed to not only match but exceed factory tolerances. Every block must pass our magnaflux inspection designed detect any microscopic flaws or cracking. Blocks are then thermal cleaned followed by steel micro blasting until they achieve a brilliant appearance. Once a block is fully cleaned, we begin our precision boring and honing process. Using a carbon two-stage power hone we can maximize the sealed area and ensure to precisely meet the recommended RMA readings. Computerized micrometers are used to resize rods with strict accordance to factory recommendations. Crankshaft's are precision cut and micro polished to achieve a 12 RMA reading or better. Before leaving our facility every Short Block must clear our meticulous quality control evaluation that undoubtedly has the highest of industry standards.